Before reporting on the discussion at the combined school board meeting of Cavendish Town Elementary School (CTES) and Chester/Andover Elementary School (CAES), there is a correction to last week’s article GMUSD: Are we getting what we voted for? Cavendish’s Town Clerk, Diane McNamara, spoke to the Secretary of State’s office after the article was posted. Contrary to what was discussed at the Select Board on Monday, January 8, there will be school business segment at this year’s Town Meeting. 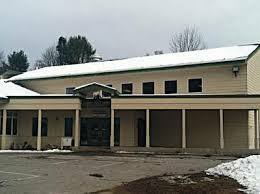 However, at last night’s meeting, the Two Rivers Supervisory Union (TRSU) superintendent Meg Powden said that the informational meeting for the Green Mountain Unified School District (GMUSD) is in February in Chester-Feb. 27. Why is it being proposed to move 6th grade to GMUHS? : Given the tension about GMUSD, people wanted to know why this issue was being brought up now. Marilyn Mahusky, the chair of the CAES board, said that she thought it was relevant to ongoing discussions. The idea was suggested to the CAES board by administration while they were on retreat a year and a half ago. No one from CTES was present, yet the CAES board thought it could be good for both elementary schools to have their 6th grades move to GMUHS for a middle school 6-8. Do middle schools make a difference? : While articles being posted on the CTES PTO Facebook page questioned the value of middle school, both boards said they didn’t know very much about the issue. Some of the articles suggest that students attending middle schools actually do worse than the traditional K-8/9-12 model. In an effort to understand more about performance, data on GMUSD schools was obtained from School Digger. For 2017, CTES ranks 23 out of 169 elementary schools in Vermont while CAES ranks 102. CTES has 56% of its students on reduced or free lunch, an indication of how many students live at or below the poverty level, and on Average Standard Score (2017) scored 77.8. CAES has 51.2% of its student population on reduced or free lunch and scored 40.5 on Average Standard Score (2017). For high school, out of 55 schools in Vermont, GMUHS ranks 44th with 43.6% of students on free or reduced lunch and has an Average Standard Score of 24.6. Why fix what isn’t broken? CTES’s 6th grade teacher, Robin Long, spoke about how well CTES 6th graders do, which was echoed by parents . An audience member working in the middle school at GMUHS was clear that they were in no way prepared for any type of changes of this magnitude and were pretty clear it wouldn’t save money. The audience sentiment before, during and after the meeting was not in favor of moving the 6th grade to Chester. What would be the impact on CTES if the 6th grade was moved? What was clear to many in the audience is that if the 6th grade was moved, it was the beginning of the end for CTES. If the school were to close, the impact on the town would be devastating. As one parent noted after the meeting, Why would you jeopardize the one asset Cavendish has? Do we have local control? Act 46 protects the school for four years. After that it’s up to the GMUSD to determine its fate. Given that there is sufficient voting power on the GMUSD board and in actual voters, it’s very simple-whatever Chester wants Chester gets. Any savings that were to be experienced disappeared almost immediately after the GMUSD was voted in-health insurance for teachers. Now there is an additional $225,000 required so that the elementary school staffs will receive the same benefits as the high school staff. Clearly, if there was a policy within Act 46 requiring that all participating schools in a district provide equal benefits, then this $225,000 should have been part of the discussion back in April. It wasn’t. At the Finance Committee-which will meet on Jan. 17-a budget will be released. While much discussion has been about doing what’s best for students, there has been little evidence of that. In fact, it appears to be more about jobs than students. Read the report on the April 25 meeting. Trust: CTES board member Fred Marin made a plea for people to be patient so we can learn to trust one another. Unfortunately, many of the older residents who were around at the formation of the GMUHS felt they were short changed in that process- e.g. the school was to be located on the Cavendish/Chester border but instead was moved to its current location, far more convenient for Chester than Cavendish. The creation of the TRSU was to save money, improve services etc. none of which have been realized. Some audience members were surprised to learn that the replacement of retiring CTES principal George Thompson with another principal will be a temporary position for one year. They felt this was a switch from the previous week’s discussion at the Finance meeting. Trust is going to be difficult to establish even though members of the audience very much want to overlook history and move forward. Hold off on the Budget: Fred Marin encouraged the TRSU to hold off on producing a budget that could be easily defeated and instead take the time to produce one that could be voted on at a separate time other than Town Meeting Day. There was strong support among the audience for his suggestion. Attend the Finance Committee and GMUSD Meeting: Tonight, January 17, there will be a Finance Committee at GMUHS at 5 pm. This will be followed by a GMUSD board meeting at 6 at the same location. All meetings are being filmed by Okemo Valley TV and live notes are being posted via the CTES PTO Facebook page. Regardless of whether you have school age children, the decisions being made effect everyone not only because of taxes but also because anything that jeopardizes the school endangers the community as we know it.